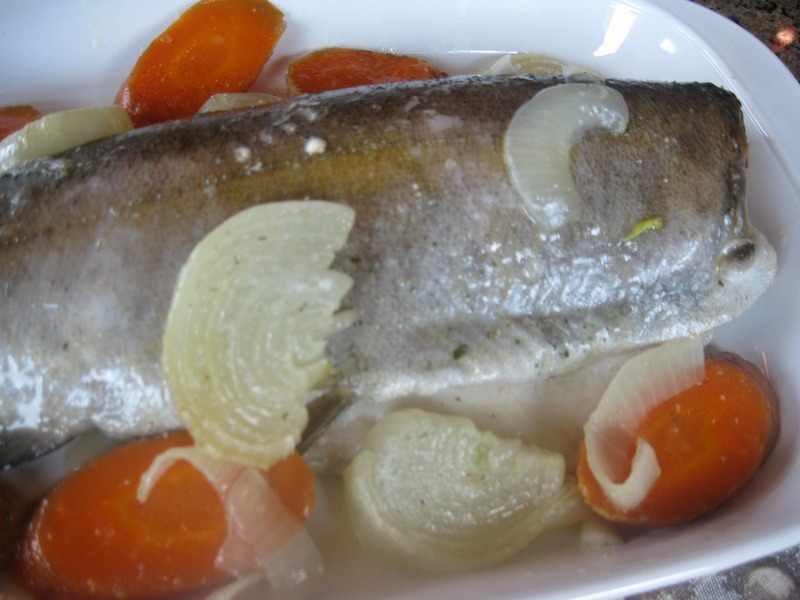 Healthy, simple recipe. 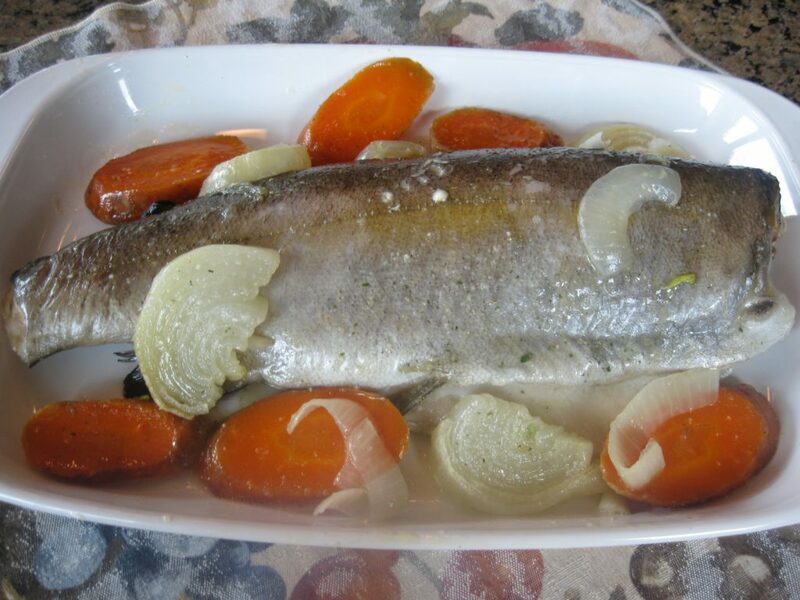 Just put it in the oven – it will do the job, while family gets together for the diner. Cut out head and tail. 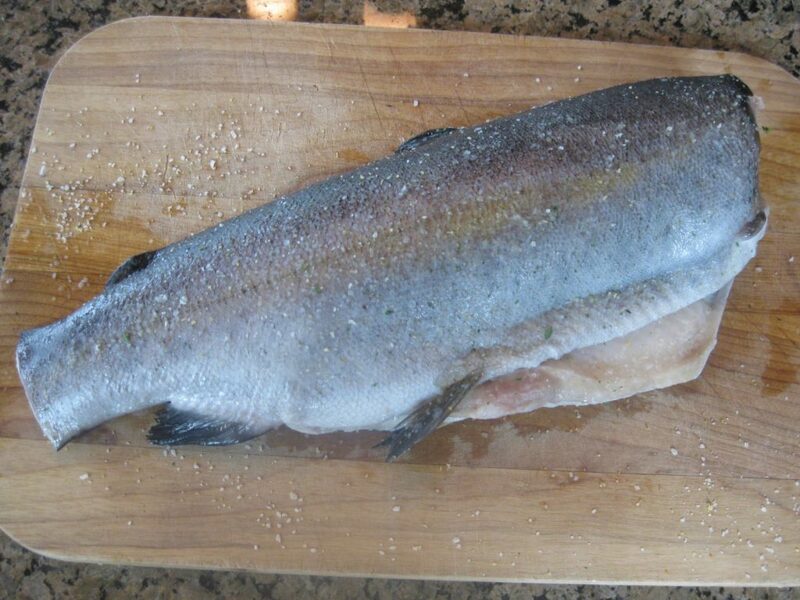 You may use a knife to scrape all scales off of the fish on both sides. Rince the fish, scrape some more if needed. Rince again and pat to dry with a paper towel. Sprinkle with salt and pepper on both sides and inside. 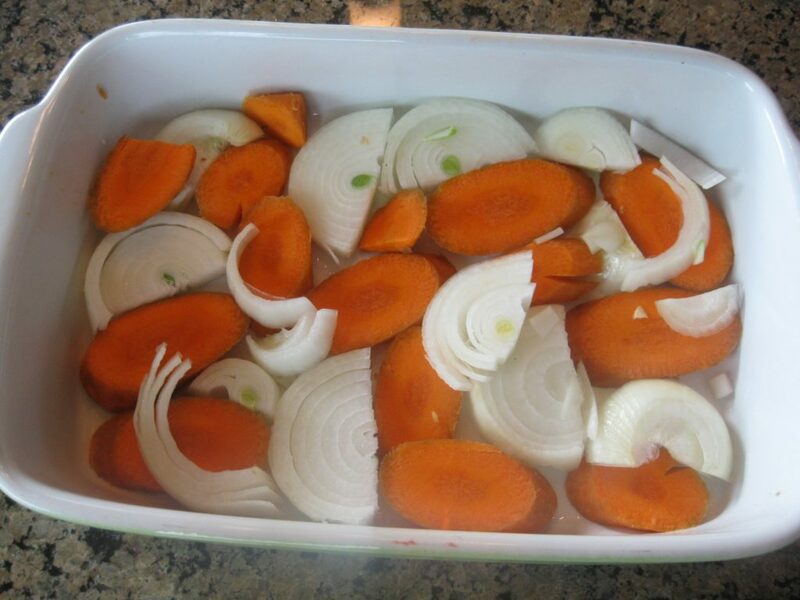 Place prepared vegetables on the bottom of a baking dish coated with cooking oil. 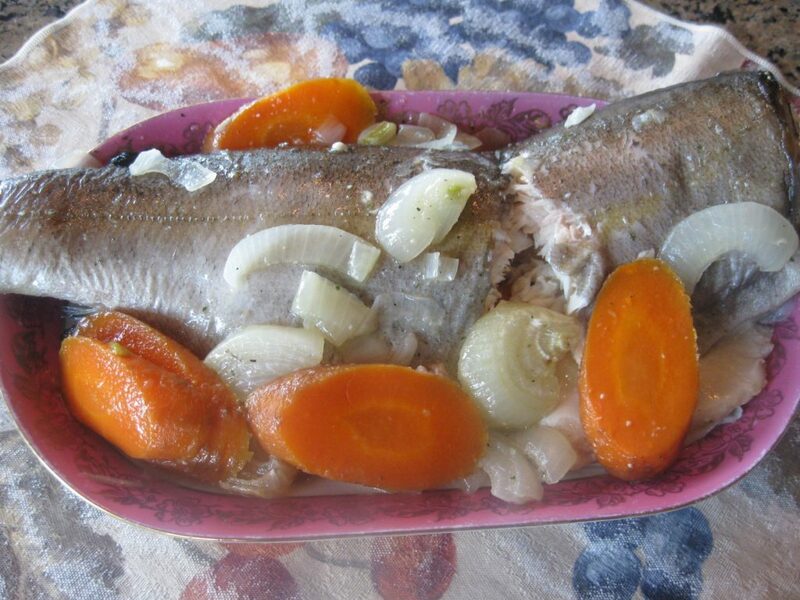 Place trout on top of vegetables. 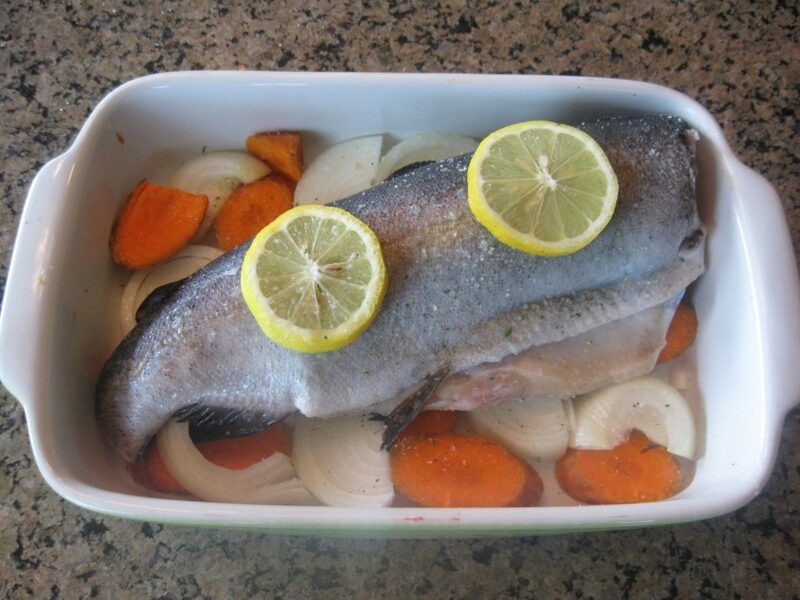 Put a couple of lemon rings on top of the fish. 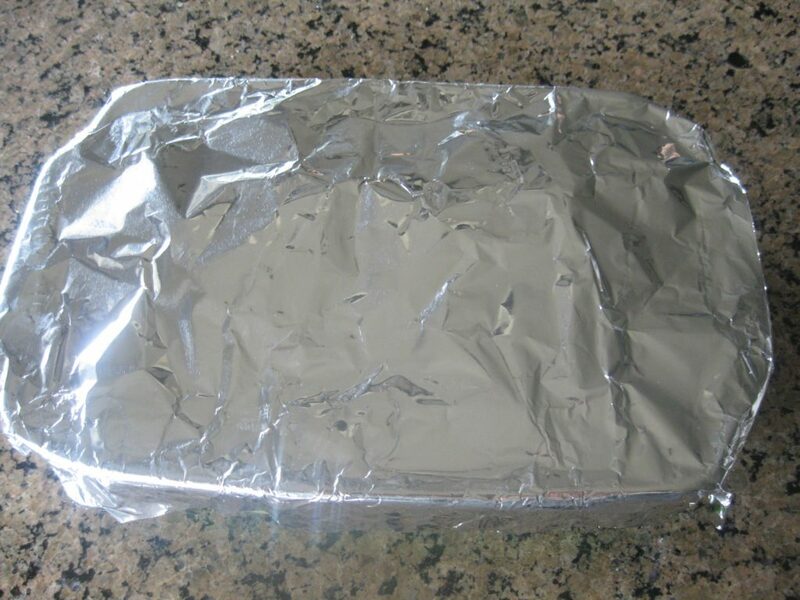 Cover with foil and bake in the oven at 350F for about 25-30 min. Get it out from the oven. 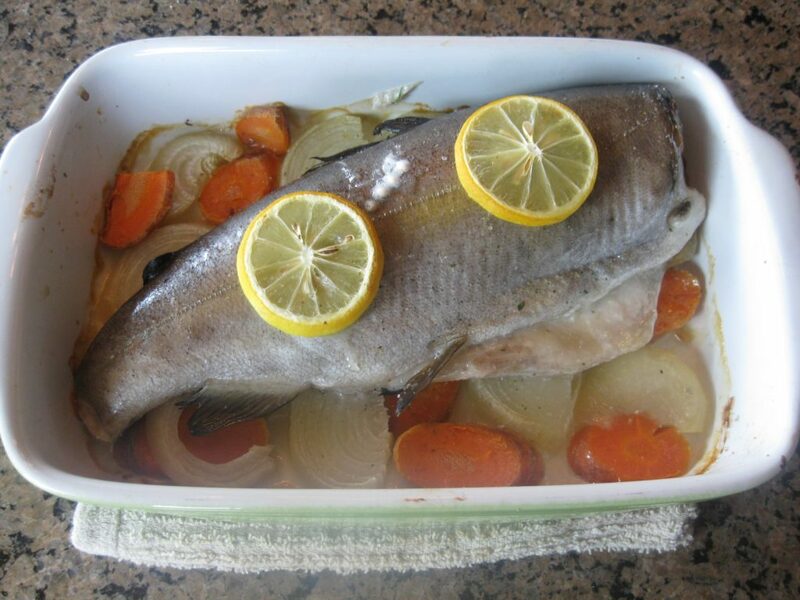 Transfer fish to a platter, arrange vegetables around and pour over with formed juices.